Under the alphabetical list, find your home constituency for either the period 1754-1790 or 1790-1820. Remember, most towns today did not have representation then, so either find your nearest borough or choose your county. - How many voters did the borough/county have? - What party or parties did the constituency have? Did this change over time? - what does ‘participatory politics’ mean? - how have historians described elections and parliament in the long eighteenth century? - Look at the British Library online exhibition, Taking Liberties. 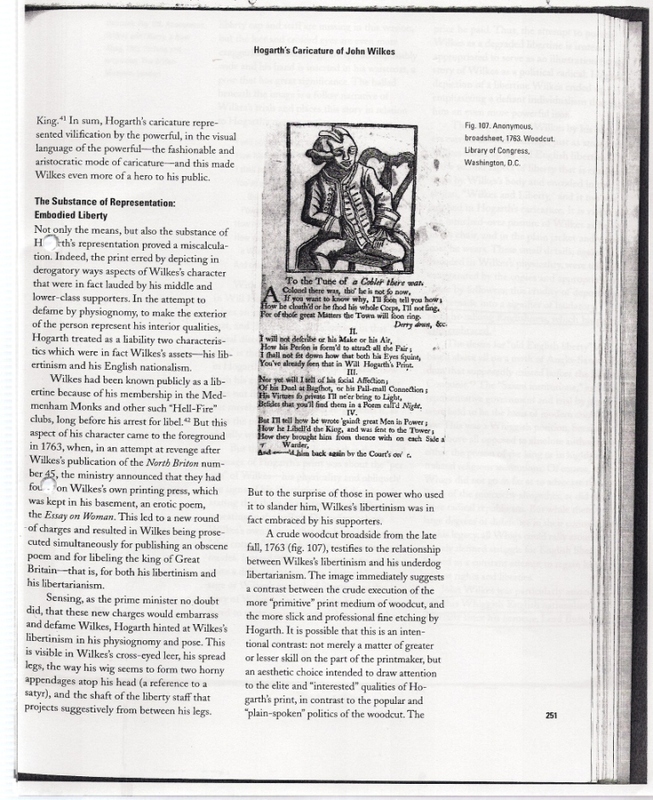 Identify the most useful primary sources for this module, and read about them. - Look at the timeline for reform. - J. Phillips, ‘Popular Politics in Unreformed England’, Journal of Modern History, 52:4 (1980), 599-625. This week we are looking at the controversial figure of John Wilkes. Why was he important? How did his supporters use developing media and consumer products for this campaign? - why was he controversial? - why did he get kicked out of parliament? 2. In the seminar we will be examining the following primary sources. Find out about them beforehand to prepare. 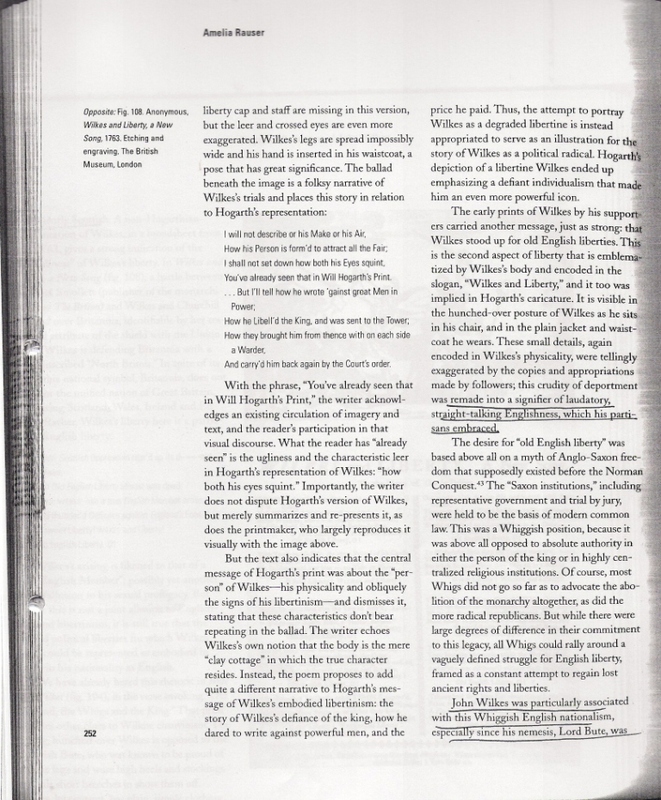 Ø how was Wilkes’s squint used by his supporters? What does the creation and use of the symbol reveal about a) the changing nature of politics; b) the changing nature of the media in the eighteenth century? 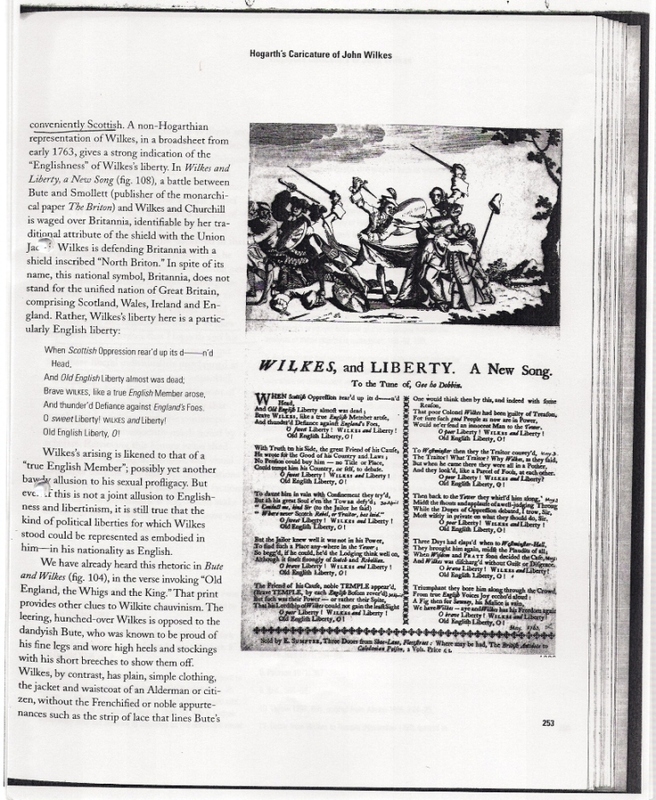 Ø what did Wilkes stand for, and why was he popular? 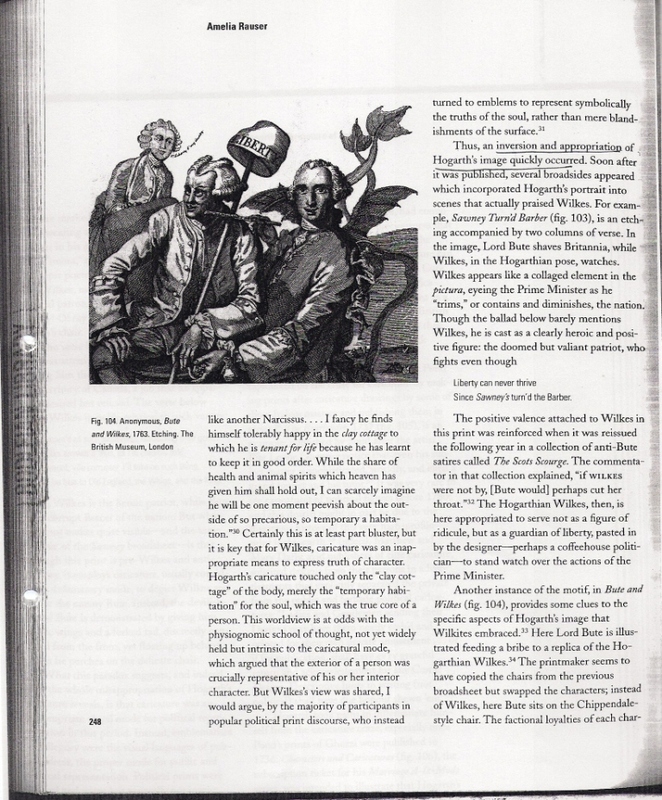 Ø why did the Scots hate Wilkes? 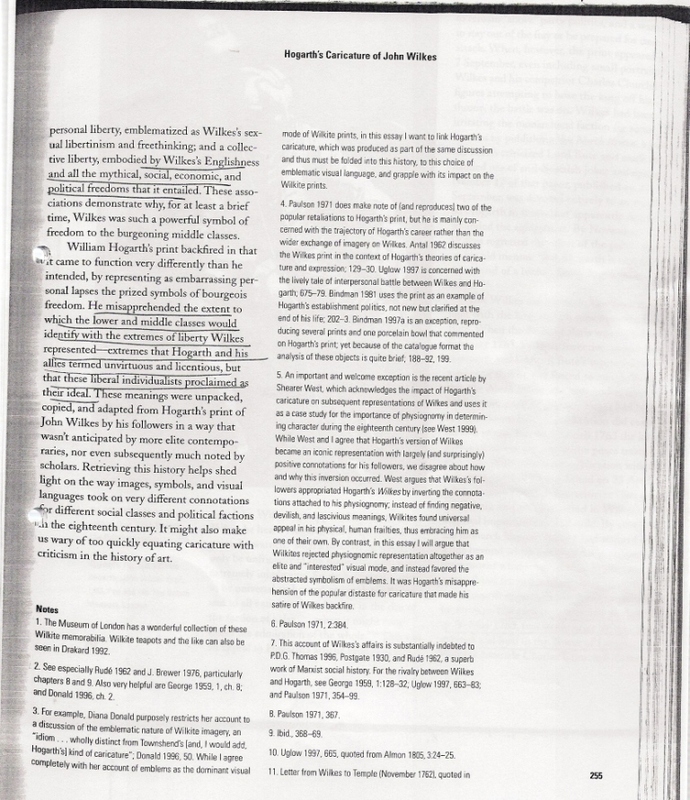 Ø why did Wilkesite radicalism ultimately fail? - Ian Gilmour, Riot, Risings and Revolution (1992), chapter 15, ‘Wilkes and Liberty’. This week we are examining some key primary sources, which expressed new ideas about reform and the constitution, in response to the American Revolution. Think about their main principles, and their influence on British reformers. - Stephen Conway, The British Isles and the War of American Independence (Oxford, 2000), chapter 6. Ø Why and how did the ‘Association’ movement emerge? What was its significance? 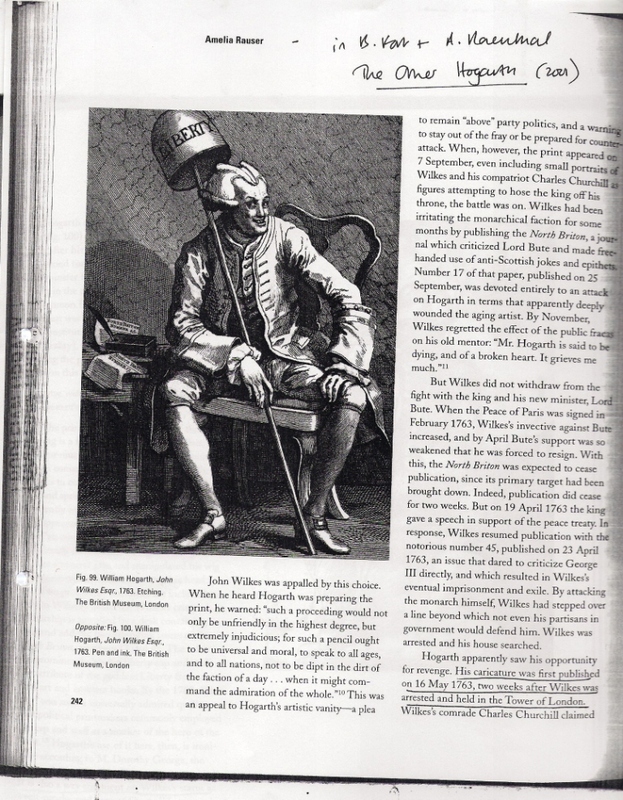 Ø what spread of opinions constituted radicalism in Britain during the American revolution? 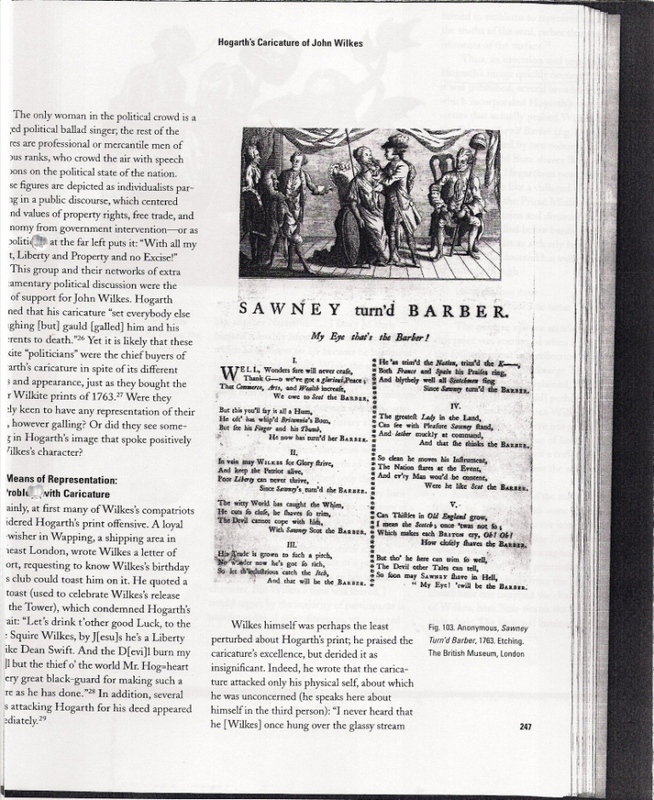 Ø what was the influence of Dissenters upon British radicalism in this period? This seminar will follow an alternative format, with group-work on the following range of sources. STUDYING PRIMARY SOURCES REQUIRES PRIOR RESEARCH IN SECONDARY SOURCES. Find out as much as you can about the sources, their creators, their purposes, and what they reveal about the question of parliamentary reform at the time. Ø Why was it made? Ø Who was it aimed at? Ø How would its audience react? This week we are examining the key text in response to the French Revolution, and the reaction to radicalism by loyalists and the government. - what was Paine arguing for? - how and why were his proposals radical? 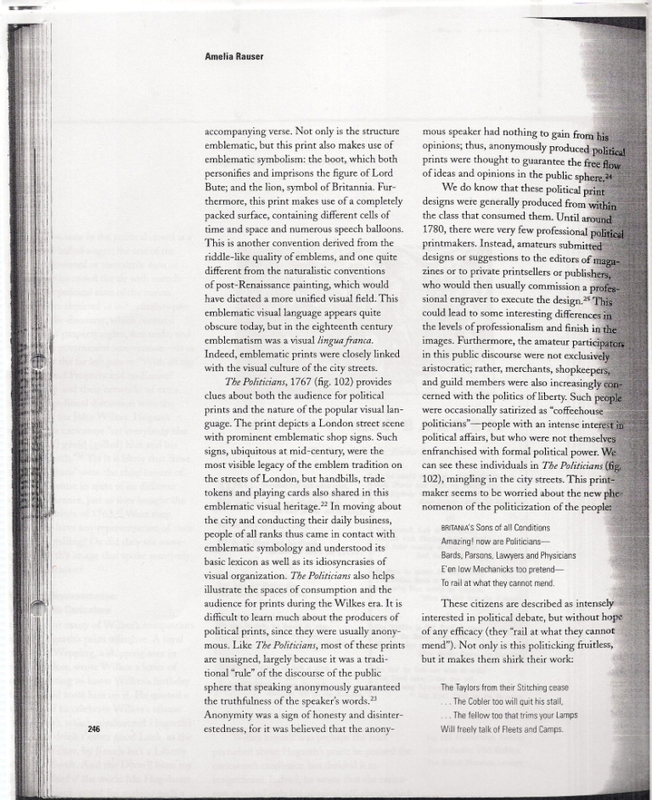 Ø What was the importance of visual material and other non-textual forms of propaganda in the 1790s? Ø Do historians agree about the main effects of the French Revolution upon British politics a) inside parliament; b) outside parliament? Ø how did radicalism change in its a) principles and b) organisation following 1789? Compare with the association movement of the 1770s and 80s. - Mark Philp (ed. 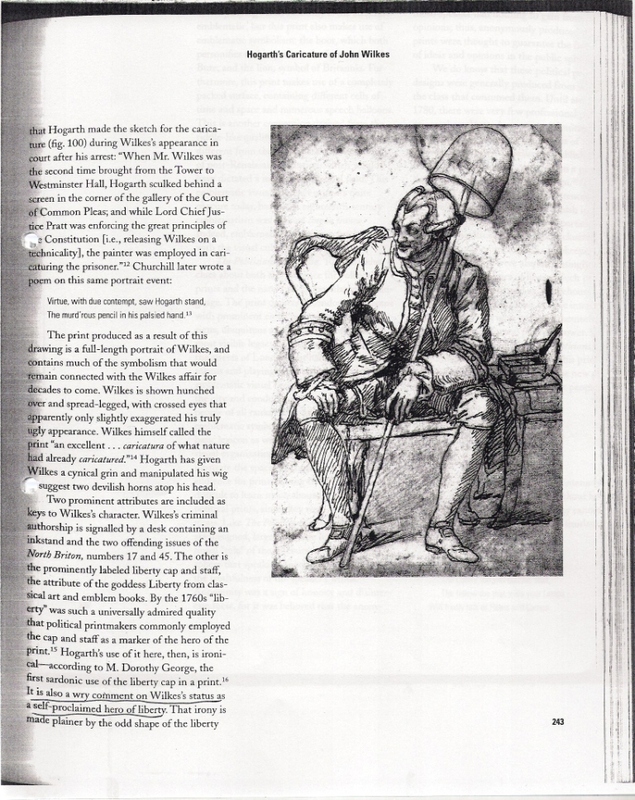 ), The French Revolution and British Popular Politics (Cambridge, 1991), chapter 3, ‘The fragmented ideology of reform’. - E. P. Thompson, The Making of the English Working Class (1968), chapter 5, ‘Planting the Liberty Tree’. - Clive Emsley, Britain and the French Revolution (Harlow, 2000), chapter ‘politics’. This week we are examining the reform campaign in Ireland. How does it compare with the British campaign? How important was ‘Grattan’s parliament’? Note the connections between the Irish reformers and the American (and later the French) revolutionaries. This article refers to the autobiography and memoirs of Henry Grattan, and how later Irish nationalists attempted to manipulate the memory of Grattan to suit their own purposes. Work out how and why they did this. Ø who were the Irish ‘Patriots’? How did they respond to the American Revolution? Ø why did the demands for reform in Ireland become more radical? Ø who were the United Irishmen? How did they respond to the French Revolution? Ø what were the causes of the Irish Rebellion of 1798? - Foster, R.F., Modern Ireland, 1600-1972 (1988), relevant chapters. - Small, Stephen, Political thought in Ireland, 1776-1798: republicanism, patriotism, and radicalism (Oxford, 2002), especially chapter ‘Patriotism and Radical Reform’. This week we are discussing the revival of the reform campaign after the Napoleonic Wars. What was the ‘mass platform’ and why was it important? What was the significance of the ‘Peterloo massacre’? How did Hone subvert the traditional nursery rhyme? Why? Why was this seditious? - Ian Dyck, 'From "Rabble" to "Chopsticks": The Radicalism of William Cobbett', Albion, 21 (1989), 56-87. - James Epstein, ‘The Constitutional Idiom: Radical Reasoning, Rhetoric and Action in Early Nineteenth Century England,’ Journal of Social History, 23 (1990), 553-74. Please fill in an essay tutorial worksheet before your tutorial. - Why was religious reform back on the agenda in 1828-29? What were the test and corporation acts? - why did the issue of parliamentary reform begin to revive in 1830? - to what extent did rioting in the southern counties have an influence on the reform crisis? This week we examine the crises that led to the first reform act of 1832. To what extent did popular pressure play a large part in the passing of the bill? Examine the following primary sources: What does each group want? What type of reform? How did they act to get their demands heard? - what did the Bolton petition demand? - what did 'witholding the supplies' mean? - how can we use this as evidence for the level of parliamentary pressure in the 'days of May'? - Gordon Pentland, 'The Debate on Scottish Parliamentary Reform, 1830-1832', Scottish Historical Review, 85:1 (2006), 100-30. This week we will be revising our knowledge of the primary sources. Please read through your notes on all the primary sources.